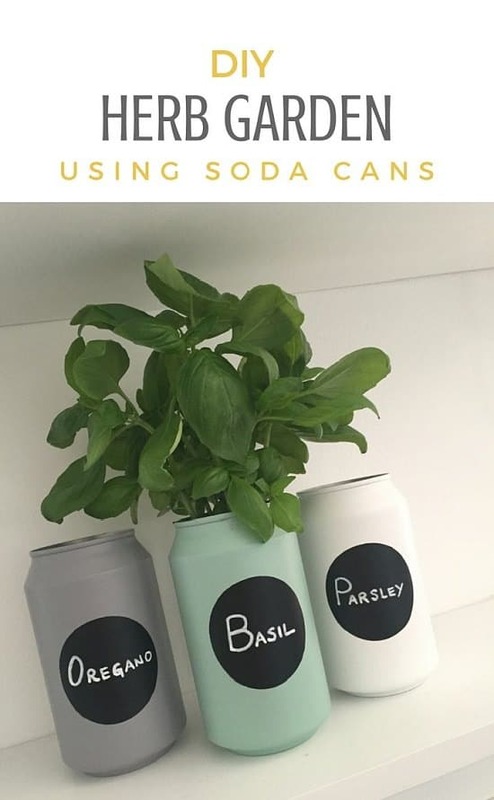 12 super nifty (Beer Can) Soda Can DIY ideas and uses for your garden, you’ll start saving them after learning. Create a herb garden out of soda cans. All the instructions are here! 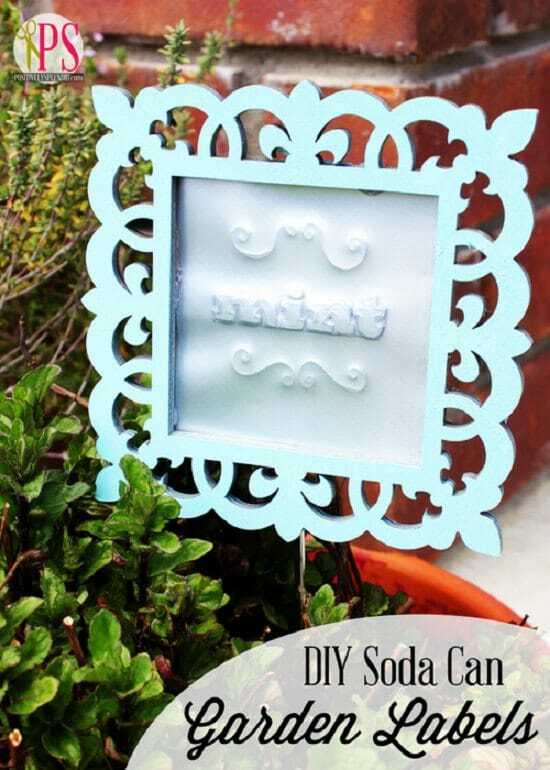 Create attractive soda can plant labels following the tutorial available at Thrifty Fun! 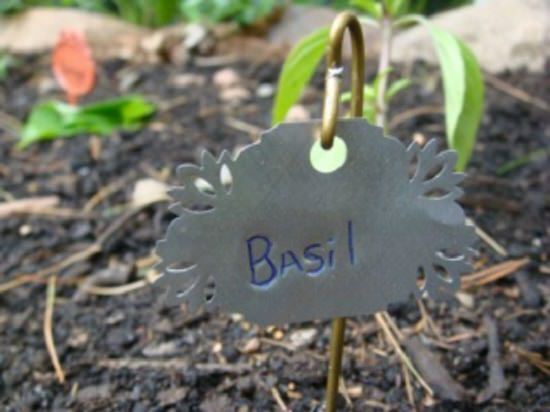 Turn your empty soda cans into decorative garden labels. The tutorial is available here. 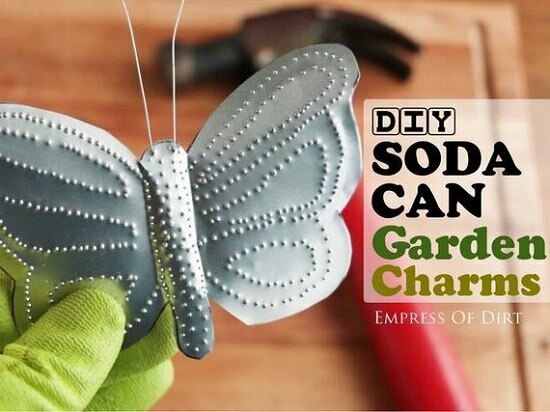 Repurpose soda can bottles into beautiful garden charms. The tutorial is available here. 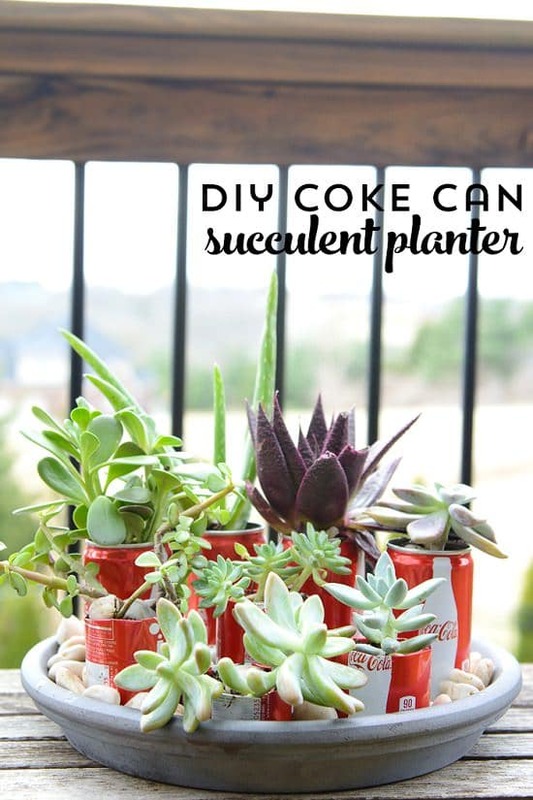 Add a dash of green by making this soda can succulent planter and place it on your balcony tabletop. 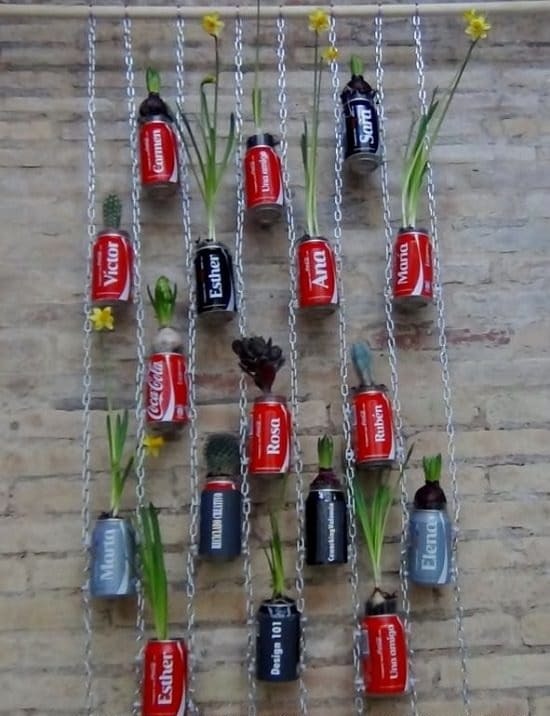 Create an interesting soda can vertical garden like this one. Here’s the tutorial video! 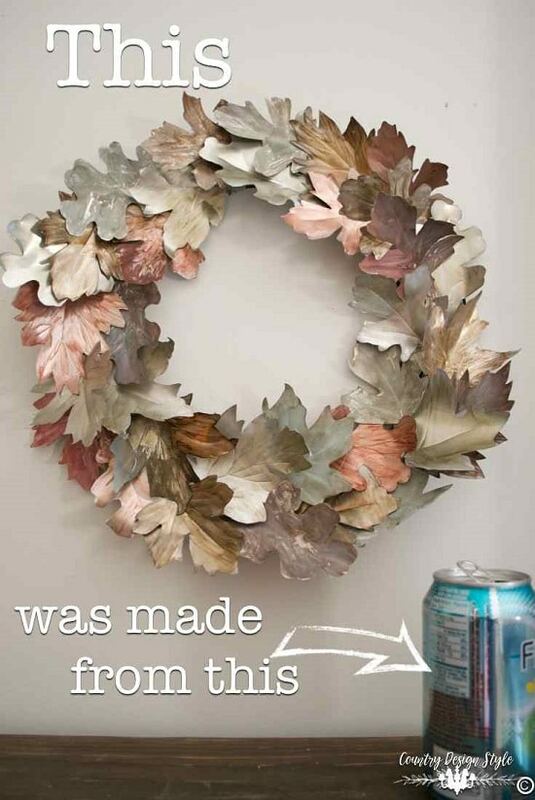 This project requires time and some DIY skills, but the outcome is astonishing, a stunning metal wreath. Check out the tutorial here! 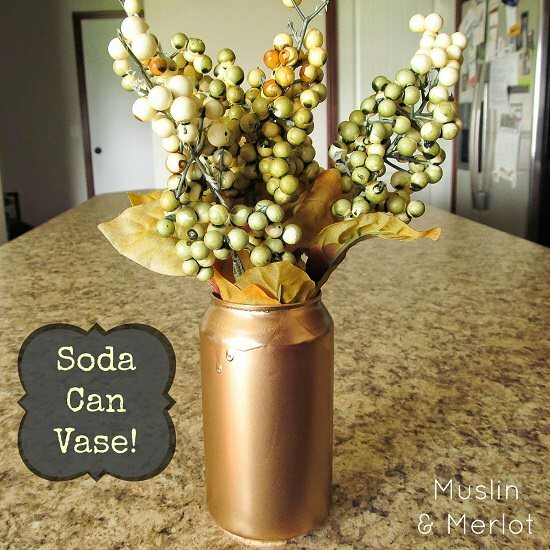 Worthless empty cans can be charming decorative items, this soda can vase is the prime example. 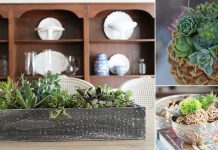 Clean and spray paint and fill them up with fake flowers or greenery. 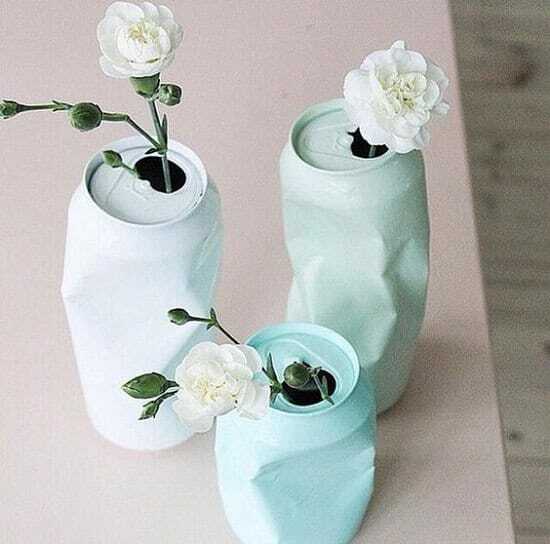 Create crushed can vase by deteriorating the shape of the soda cans. Clean them well and paint them up in the most appealing color. 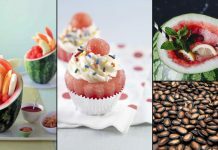 Add your favorite cut flowers! 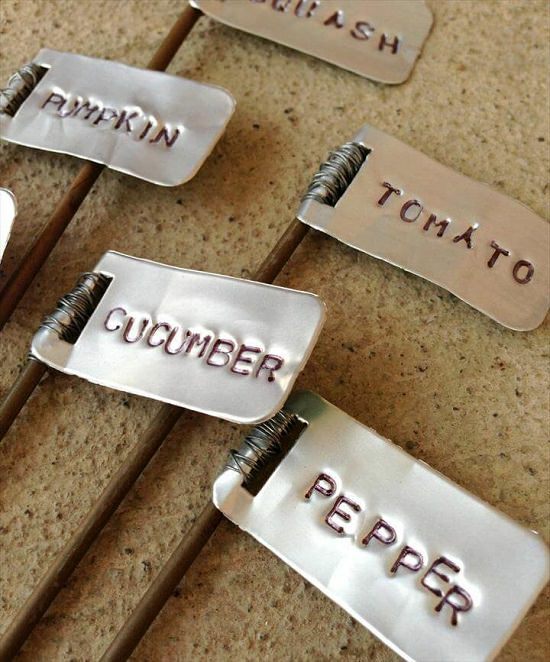 These garden plant markers are entirely different from the others. They are made of soda cans, more rustic to look at. We found the idea here! Choose your favorite pattern and transfer it to the can using the tack. 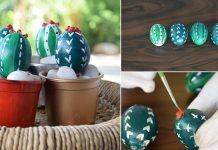 Use the can opener to open up the top and paint it carefully in your favorite color. 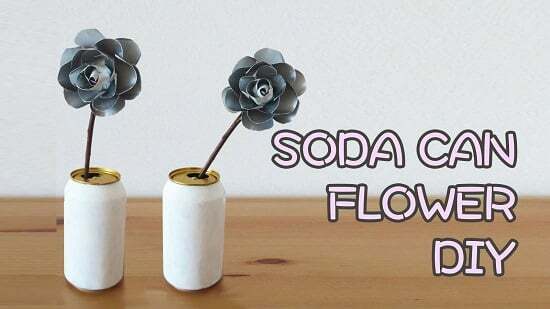 Create metal flowers out of soda cans and place them in the soda can vases. The tutorial video is here!